Cannabinoids are the most widely abused drugs in the world after alcohol. These drugs are gaining legal acceptance, but are still dangerous. Cannabinoids are drugs that share active agents found in Cannabis (Marijuana) or were synthetically developed from those drugs. They are increasingly becoming legal, holding a potential problem for a rise in addiction for all ages. Cannabinoids are compounds that make up the plants hemp and Marijuana. Cannabinoids derived from the Marijuana plant contain tetrahydrocannabinol (THC) which provides the popular “high” both felt as a “body high” or as a “head high” depending on the strand from which the drug came. It produces feelings of euphoria and relaxation as well as temporary lack of memory and attention. Cannabinoids from hemp plants are mainly Cannabidiol (CBD). CBD has been studied for its therapeutic effects on the body, which does not produce the known high as THC does. These drugs have been around since the time of Ancient China. The Chinese used them for a variety of medical purposes. Using Cannabis for medical issues has also been practiced for many years in the United States, up until 1937 when a federal law was passed banning the treatment. Cannabinoids that have developed and taken from hemp plants are legal and can be found in many markets. However, Cannabinoids derived from Marijuana plants are only legal in some states, but legality is increasing. It is currently legal to use Cannabis for medical purposes in 30 states and the District of Columbia. Doctors are increasingly prescribing these drugs for medical reasons such as relieving pain in cancer patients. Keep in mind, these conclusions are based on small studies. Many people all over the United States have been using Cannabinoids and Cannabis for medical reasons; however, a majority of its non-medical users use it heavily, thus abusing the drug. 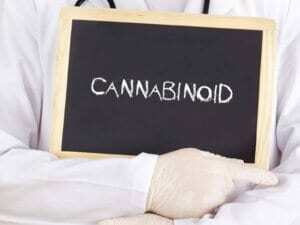 Can You Overdose on Cannabinoids? There have been no recorded deaths from using these drugs, and it is not possible to overdose. However, there have been many reported incidents on injury due to the “high” of the drug. The drug causes a high that slows motor function and causes lack of coordination thus putting the user at risk for injury. The Marijuana plant contains natural compounds of Cannabinoids. These plants have a long history of being abused. You can consume the plant in the form of “edibles;” however, it is typically smoked out of a paper “joint” or a tobacco glass pipe. Synthetic Cannabinoids such as K2 or Spice are manmade chemicals that coat plant material to imitate the effects of the THC high from a Marijuana plant. Synthetic Marijuana is much more dangerous due to the unknown chemicals made up within the drug and the critical side effects it brings. Although there are studies that show potential benefits from Cannabinoids, there are many side effects from taking the drug. This shows that an addiction to this natural drug can be hazardous. Fifteen synthetic Cannabinoids are currently classified as Schedule I substances, indicating high abuse potential but no approved medical use under the US Controlled Substance Act. Like any other drug taken for a prolonged time, Cannabinoids can impact your body in a negative way. Studies show long usage of Cannabis, which includes Cannabinoids, can damage the endocrine and reproductive systems. Similar to any other drug, heavy users can experience disturbing withdrawals after stopping their consistent use of Cannabinoids or Cannabis. Many are similar to the withdrawal symptoms of opiates. Between January and May 2015, U.S. poison centers in 48 states reported receiving 3,572 calls related to synthetic cannabinoid use. In 2013, around 4.2 million people 12 and older had a marijuana abuse or addiction problem. By the time they graduate from high school, about 45 percent of U.S. teens will have tried marijuana at least once in their lifetime. Cannabis as well as cannabinoids can be addictive. Because of the popularity of these drugs among teenagers, habits for taking these drugs develop early and prolong into the adult life. If you feel you, your teen, or someone you love has an addiction to cannabinoids or cannabis, please contact a recovery professional today.